Battlefield LIVE is a fast-paced sport giving you the pain-free thrill of combat gaming. 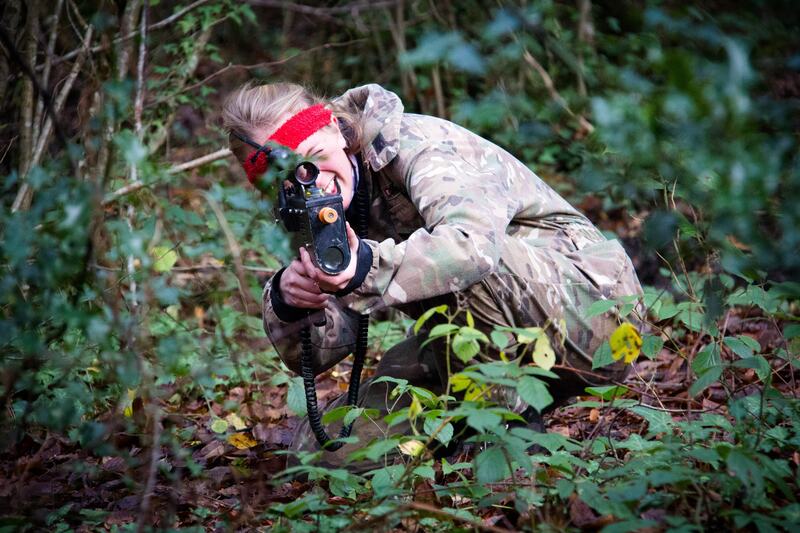 Enjoy a wide range of scenarios and mission objectives at either of our Woodland sites. Players are issued with team colours and a gaming gun which will record your score. Compare hits, kills and accuracy with your group and there’s no disputes about fair play. Once you understand the weapon’s features and Rules of Engagement, you’ll be creeping, crawling and seeking to shooting your mates. We guarantee you’ll have heroic tales you’ll be talking about for months! Adult players can decide how active and involved they are, from kitting up, running around with a Sub Machine Gun or taking a Sniper Rifle and finding a comfortable spot with a good view, there are many different ways to play. Join Battlefield LIVE in the New Forest for a great celebration with friends. Available in the evenings and at weekends. Optional extras available! We can also help organise your lunch break and more!